There’s a significant chance that every inhabitant of New Eden is in grave danger. Over the last few years, the rise of the Drifters has been a clear and present threat, but lately something more sinister is stirring. The Drifters seemed like an unstoppable force when they killed the empress of Amarr in a brutal attack lasting only a few minutes. But there’s a still greater threat emerging – something that threatens even the Drifters. Now we must ask ourselves: is this new threat only dangerous to the Drifters, or to all of New Eden? Most of us have been complacent for some time now, going through the motions, not paying attention to the galaxy around us. While our empires build and we continue the arms race in New Eden’s most recent cold war, something big is happening – and most of us are blind to it. Most of us don’t pay attention to anything outside our own regions, but I believe the threat is real and the truth is out there. I’m not the only one. One of the organisations that has been looking into the ever-changing landscape is called ARC. They have been sharing the material they’ve found in Drifter wrecks, which drop data vaults containing sections of recordings. These show the Drifters under attack by an unknown entity. Uncertain of who it is – or whether they’re friend or foe – the only thing we do know is that there’s a mystery just waiting to be solved. I sat down with Makoto Priano, one of the coordinators for ARC, who was happy to answer questions about ARC, Drifters, and the future. INN: Thank you for taking time to give this interview. For those who don’t know who you are, can you quickly introduce yourself? Makoto Priano: Hi! I’m Makoto Priano, a long-time EVE nerd from the lore and roleplay communities and now one of the coordinators for the Arataka Research Consortium, or ARC. We’re a loosely-connected group of nerds that enjoys participating in and contributing to events, world-building, and backstory. INN: Thank you, it’s great to have a chance to sit down with you. Now, one of ARC’s biggest projects is about the data vaults, am I correct? Makoto Priano: At the very least, it’s the most recent, and the one that’s been the most visible in recent history. While we’ve had a team producing the Discourse for approaching a year and a half, this is the first time we’ve had an event that so neatly ties together our media work, our lore nerdery, and the operational side of forming fleets and pewing Drifters. 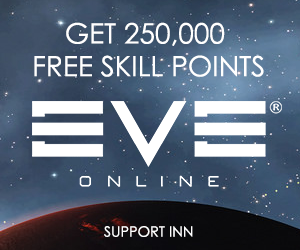 INN: It’s been some amazing work for sure. I believe I stumbled across your work when I saw a video of the sun, something we now know is related to a new ship. Makoto Priano: Indeed! It looks like it’s the core of what we now see are Triglavian Collective ships! And this is only our most recent push. Whenever something grabs our attention, the ARC Studio crew puts in a sprint to bring a new episode out, and ARC as a whole tangles with the event in some way. It’s a lot of fun. Of course, ARC isn’t just the studio crew. We’ve also written in-world science reports, offered bounties to provide another twist to CCP’s in-game events, and run regular fleets into Drifter Hives. Hell, anyone who went to Fanfest last year will probably recognize our logo, as evidently we went overboard with the Inquest! We’re those types of nerds. INN: It’s fantastic to hear that your team is so driven. It shows what happens when people work on something that they’re interested and focused on. Makoto Priano: One motivated, capable person can achieve much. Many motivated, capable people can achieve more. It’s the lesson we’ve learned. INN: I want to touch on the Drifters now. For people who have started in the last year or so, is it fair to say we have not seen much major lore being pushed out? The drifters were this major threat that just seemed to have gone away. Makoto Priano: So, it gets sticky. The major landmarks on the Drifter map, as it were, are these: the Observatories decloaking, the hives becoming accessible, the assassination of Jamyl, the incursions, the discovery of the Nexus, the Arithmos appearing in WH space, the New Player Experience, the Warzone Extraction, and now this. I think it’s fair to say that the events up to and including the assassination were considered major by players, but what followed after that didn’t get the same level of publicity or enthusiasm, because they were much narrower in focus. If we assume that the Drifters are tied in with CCP’s overarcing Prophecy design map, then we can assume some of that buzz died down because their production timeline had to be stretched to account for technical debt, unexpectedly involved design work, and so on. INN: That’s a lot more elements than I was aware off the top of my head. I think you’re right about the lack of publicity. It made it feel like not much was going on in the background. but really the wheels were slowly turning. Makoto Priano: To be honest, as someone who’s been involved in poking Drifter Hives regularly for several years, it didn’t feel like it was moving at all! But if our guess that the Drifters are inextricably tied with the story of Capsuleers achieving their independence from the empires and building their own stargates is correct, then the delay due to CCP’s production timelines makes a bit more sense. And remember, of course, that the Drifters were also an AI test-bed. Now that CCP’s had more experience iterating on that with first NPC miners, then shipyards, FOBs, Resource Wars, they’re bringing a lot of the developments back to the Drifters in preparation for the next big reveal. This is, we expect, part of the reason why CCP snuck out the release of the Cassandra and Orion Tyrannos cruisers. INN: We’ve also seen the same AI used in the Gala event. This development feels good and refreshing. You talk about drifter hives, can you tell us more about them? Makoto Priano: Effectively, these were a handful of shattered wormhole systems CCP introduced in mid-2015 that look to be Sleeper engineering and research facilities. At the center of a deadspace complex, you find the Drifter Hive itself, a 140-km-wide ring station surrounded by gutted Sleeper Enclaves. If you’ve ever seen the Emergent Threats trailer from Fanfest 2015, this is where they’re gathering the Sleeper corpses they make into new Drifters. INN: Wow, I can’t say that I’ve explored much of wormhole space as of late, it does feel like I’ve been missing out. it’s almost like the truth is out there and it’s waiting to be found. Makoto Priano: CCP’s almost said as much! Though sometimes I wonder if some of those statements are intended to preserve mystery for when they take their next step. CCP’s gotten very sneaky when it comes to anything Drifter-related. INN: And with the threat that the Drifters present, it’s something we need to know sooner than later. You say that they are accessible now, what do you mean? Makoto Priano: So, you know those Unidentified Wormhole beacons you occasionally see in systems with a Jove Observatory? That’s the way in. Best of luck! INN: I’ll have to log onto the test server and check them out. I think that underlines that there’s a ton of stuff going on that the average Eve player does not know. Makoto Priano: To be honest, your average player has spent years learning that engaging Drifters is instant death. And, to be fair, it is for the unprepared. But with some preparation or a willingness to accept losses to NPCs (anathema to most EVE players, I know! ), there’s more out there to be found.There’s a presentation from Fanfest 2016, All Things Drifter, that is a good starting point for those looking to get caught up to speed. What’s followed since then is mostly filling in details, at least until now. INN: Now, we’ve seen vaults start to drop from drifters, which paints the pictures of something that’s coming. When would you say this started to ramp up? Makoto Priano: That sounds about right. CCP first started playing with what we’ve jokingly called Drifter Death Balls at about that time. The first ones were spotted in Redoubt Hive, in H-ADOC in Curse, and then on it went, principally in highsec. They seem to be seen most often in Caldari or Minmatar space, probably because that’s where we find the Talocan and Sleeper COSMOS constellations. At first, they didn’t drop anything noteworthy, but were just big, menacing, but mostly passive balls of Drifters. Only in the past week and a half have we started to see vaults. INN: Mid February was when the Gala started and we had back to back events for boosters that draws players attention from outside activity to farming sites. My daily activity has changed due to theses sites, for example, and I’m head down and focused on this and nothing else. It’s a perfect time for CCP to introduce something on the side. Makoto Priano: Honestly, I wouldn’t be surprised if a lot of this is CCP stress-testing changes to the old Drifter AI. While it was the first of the new blackboard-style AI, it was also neglected for a long while as they moved to other player-facing work. Now that they’re trying to bring the lessons learned back to the original AI, what better way to make sure it functions than to throw it at players? INN: That’s an interesting idea, this could all be coming full circle. If people are interested, and they want to support you, what’s the best way to do so? 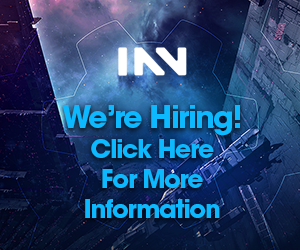 INN: Exciting times, I heard that there’s a bounty up for grabs for vaults? care to share any information? Makoto Priano: So, right now, ARC’s been hunting the deathballs itself. If our guess that a Drifter event is about to go wide shortly is accurate, then suddenly it’s going to get messy out there! We’re thinking a 1b bounty for the first instance of a new class of vault will be a rather tasty reward for folk, but it does strongly incentivize being the first to turn one in. As always, when we run these sorts of events, bounties may change based on how the event evolves. This was the case with the Corrupted Trinary Relics of the Warzone Extraction event, for instance. INN: Hopefully if this event does pick up, we should see more vaults get handed in. You’ve mention the drifter deathballs as the source of the data vaults, but recently you’ve hit a different type of puzzle – something you’ve reached out to the wider community for help with, even offering a 1.5 billion ISK bounty. Tell me about that? Makoto Priano: That’s correct. Aside from the fairly standard cipher vaults, CCP’s thrown in a set of now three vaults with the words, ‘answers,’ ‘clues,’ ‘three.’ In the first, there are also sets of various characters; in the second, the clue is at various angles; in the third, they lay it out as a very triangle-themed crossword. We’re not sure if this is CCP-laughs-in-triangle stuff, or if there are supposed to be hints toward more footage we’re supposed to be able to find. It’s a bit challenging that way! INN: Do you feel this might be CCP putting a roadblock in place for you until FanFest? Makoto Priano: Mm! Not sure. We’re still recovering vaults that have given us more footage, though we haven’t been able to composite it on account of folks being on their way to Iceland. Really, the question is whether this vault set is trying to point at something we’ve missed, and honestly at this point I just don’t know. INN: Interesting, there’s plans for events and talks at FanFest on the subject, do you think this is when CCP may release information into the wild? Makoto Priano: Oh, there’s no question of it. We’re going to hear about some big stuff at Fanfest! And from the sound of it, it’s likely to be end-game-level procedural PvE in new, unsecure space. Also, we’ve had a breakthrough and are pushing out an emergency Discourse. Can’t spill it quite yet, but it’ll be pretty. INN: How do you think the event will play out? Makoto Priano: So, if I had to guess, the event is going to be a full Drifter mobilization, and players will be hitting Drifter assets across New Eden before we get a crack at the Triglavian space. INN: Thank you very much for your time, is there anything else you would like to add? Makoto Priano: Honestly, there’s not much to add at the moment. As always, we’re very curious to see where CCP’s headed with this. This seems only the first step for what could be a fascinating few months. INN: I for one do hope so. Thanks again for your time. Makoto Priano: And thank you. Since the interview with Makoto, on Saturday, April 7, the first Triglavian Collective medium ship was spotted in the Highsec region of Yulai X, outside of the DED Assembly. The ship was flow by Oveg Drust, a long standing DED member. What CONCORD are doing with the Triglavian ship is a mystery, but INN are watching around the clock for further developments. For my part, I can’t wait to see what’s next as the storyline advances. It feels like cogs are turning in the background, slowly ticking away as small things are going on that most players aren’t paying attention to. Great to see an interview with Mak here on this fascinating storyline. I am really keen to see where CCP takes things. It always surprising to see how far and wide EVE lore actually goes and how it’s tied in with everything going on right now. As Mynxee said, it’s fascinating! Unfortunately I’m too lazy to catch up with the lore, makes me appreciate articles like this even more though! I am hoping that CCP makes it 0.0 space and wormhole capable.